Celebrating 65 years of beautiful art and photographs, and heart-warming words of joy and inspiration. The magazine that has inspired readers for 65 years shines in this anniversary edition. 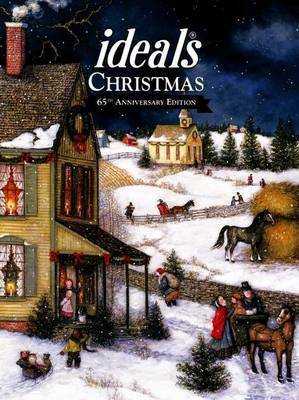 Loyal readers fare drawn to Ideals magazine or its celebration of life's most treasured moments. This anniversary issue, a new instalment of the much-collected Christmas volume, serves as a touching reminder of the true meaning of the Christmas holiday and special family traditions. Heart-warming poetry and prose are joined by beautiful, full-colour photographs and fine-are masterpieces. Here, beloved writer Pamela Kennedy reflects on the holiday; poet Eileen Spinelli spins a charming yuletide verse; and the story of the first Christmas, as told in the Holy Bible, is illustrated with fine art depicting the events surrounding the birth of Jesus Christ. Includes some nostalgic art and text selections from years past.